Good group fitness instructors teach classes by instructing exercises and delivering choreography, but great group fitness instructors create enjoyable, energetic movement experiences. They greet students by name prior to the start of class and sett up the room in a way that feels inviting to everyone. They utilize just the right kind of positive words and cues to motivate, educate and inspire students. 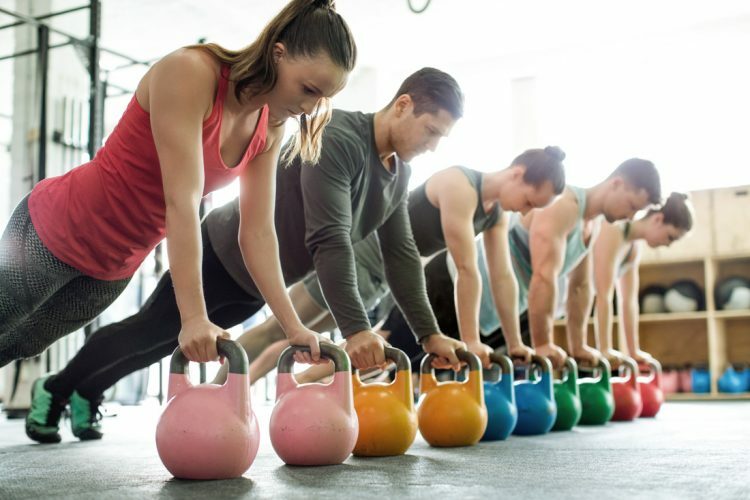 Seeking out a group fitness instructor who goes above and beyond in considering every aspect of the class—including both before and after the scheduled class time—will help to ensure you truly get the most out of each experience while enjoying every minute of it. They genuinely care about class participants. As an educator I constantly share this quote with my students—“Nobody cares how much you know until they know how much you care.” Great instructors embody this mantra through their actions and words, inside and outside the group fitness studio, as their primary purpose is to best serve you on your health and fitness journey. Knowing that your instructor is someone you can turn to and trust in, who always has your best interests in mind, will always be of much greater value than simply having an instructor who shows you a creative new exercise using the latest piece of fitness equipment. They offer customized classes for everyone. While you might think it impossible for an instructor to offer a customized workout experience for each class participant in a room full of 40 people, a great group fitness instructor finds a way to offer options for various exercises that allows each individual in the class to take ownership of his or her personal fitness experience. By offering and encouraging progressions and regressions for the movements included in class, instructors are able to effectively ensure the success of each and every student by guiding them to the best option based on his or her current fitness level—whether that means bumping up the intensity or perhaps dialing it down slightly. They continue to learn and grow professionally. In addition to ensuring that your instructor holds an NCCA-accredited group fitness instructor certification, which denotes that he or she possess a solid foundation for delivering safe and effective movement experiences, it’s also important to know how he or she remains abreast of the most current exercise-related research and guidelines while simultaneously honing their skills in their given modality. While group fitness instructors are teachers by trade, great instructors are always students first and foremost. The desire and commitment to continue to learn through the completion of specialty trainings and by attending educational events is something great instructors regularly share with their classes. Their motivation for continuing to further their own knowledge and skills in the field is a testament to just how much they care about the well-being of those they teach. They walk the talk and encourage you to do the same. When it comes to motivation to life a happier, healthier, fitter life, look no further than the individual leading your class experience. Great group fitness instructors exude authenticity and spread positivity, encouragement and inspiration by simply practicing what they preach. They also offer education and insight as to how you can live your life to your greatest potential, as they are truly grateful for the privilege and opportunity to guide you on your personal path to greatness.